I remember really liking this gritty drama back when I watched it in the mid nineties. It made a bit of a name of actor Temeura Morrison, who went on to play Jango Fet in the Star Wars prequels amongst other movies. This tells the story of a New Zealand Maori family headed by Jake, a charismatic tough guy prone to violent outbursts and a liking for alcohol. However it’s his wife who keeps the family together whilst he gets drunk with his friends at the local bar, and it’s her we follow as this brittle family try to stick together during increasing hardships. An authentic look at suburban Maori life and the society they inhabit, with local gangs and homelessness and the constant threat of violence. It’s gripping and has a resemblance to movies like Boyz N The Hood and Menace to Society whilst at the same time having it’s own aesthetic and sense of time and place. The good times are portrayed with more than a little cheese however with characters breaking into singing to portray happiness, but it’s the hard times the movie excels at and doesn’t shy away from the horrors of domestic abuse. This is unflinching stuff, elevated by some decent performances especially from Rena Owen and an electrifying, career defining turn from Morrison. However support actors come off as rather amateurish and you get the impression, perhaps for realism the director may have cast one or two non-actors. This remains a tough watch even today and makes for a engrossing and thought-provoking experience. Another gem from the 90s that you may not be that familiar with but is well worth you time. The Blu-ray, to my knowledge the first time the movie has been given the HD treatment, is pleasing but underwhelming. I found the image, whilst clean seemed overly soft, and the rather drab colour palette used doesn’t help. However it’s still the best the movie has probably ever looked. The soundtrack is in both uncompressed 2.0 stereo or DTS HD Master Audio 5.1 and delivers clear dialogue and impactful music when used. Extras consist of a detailed ‘where are they now’ documentary, an interview with director Lee Tamahori and a trailer. Not too shabby. 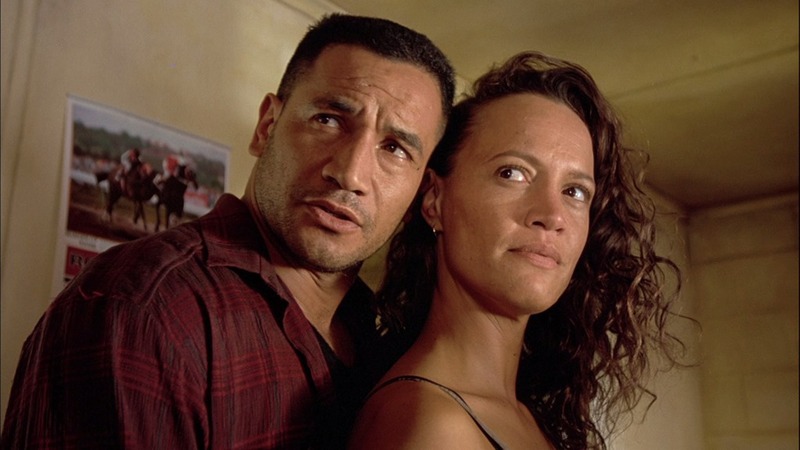 This entry was posted in Blu-Ray, Drama Reviews, Movies, Reviews, World Cinema and tagged Lee Tamahori, Mamaengaroa Kerr-Bell, Maori, New Zealand, Once Werre Warriors, Rena Owen, Temeura Morrison by Craig M. Bookmark the permalink.